With Christmas quickly approaching, letters to Santa may have already started pouring in. Whether you’re celebrating here in Bangalore, leaving India to be with family back home(s), or simply spending the holidays someplace exotic it’s time to start planning the Christmas gifts for the kids! 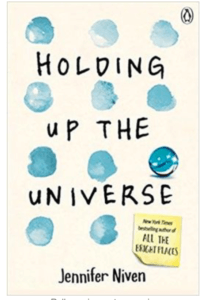 If you’re heading to a place where you know family/friends and Amazon exists (or similar shipping options) it’s probably easiest to do all the shopping online and just ship the presents to a local address, saving you space in your suitcase for all the Indian gifts you’ll be giving friends and family (just make sure you remember to leave space in your luggage for the items you’ll bring BACK with you). If you are staying in town or need to stock up on the presents before going somewhere unfamiliar, we’ve put together a list of the places to get all the Christmas goodies! 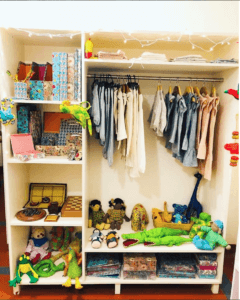 After the holidays this list will simply become a guide to Bangalore’s coolest places to get toys! 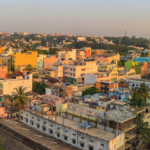 The owners of Toy Room recently returned from working in Germany for a few years and realized the lack of high-quality toys here in Bangalore. 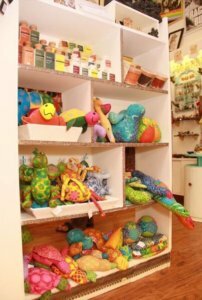 Welcome Toy Room, a store dedicated to bringing the same great toys from Europe to kids in India. Here you’ll find only imported toys (mostly German brands such as Goki, Anker, Heimess, Holztiger, Peggy Diggledey) made of natural materials such as wood and stone (Anker). The prices will be higher than you’re used to in Europe but that’s the price of buying it here. 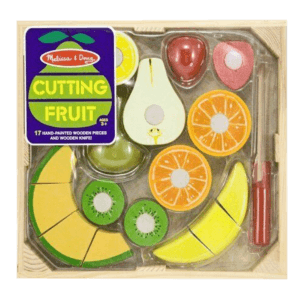 Every handpicked toy they offer is also meant to promote certain skills such as Creativity & Imagination, Motor Skills, Memory & Cognitive Skills, Hand-Eye Co-ordination, Life skills, and STEM (Science, Technology, Engineering & Maths) skills. 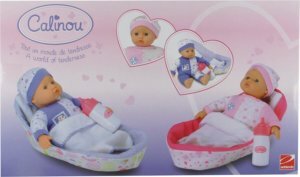 Find toys for infants to secondary children! 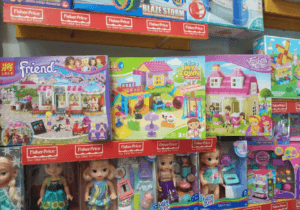 This toy store may be smaller but it is packed with quality branded toys such as Hape, Melissa & Doug, Leap Frog, Fisher Price, Duplo Chicco, Tomy, and more. 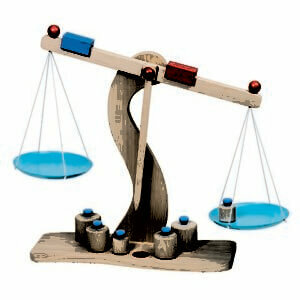 Full of Toys tries to stock toys that are not only fun but focus on learning and development too! Win-win! Looking for a wooden kitchen for your little chef? 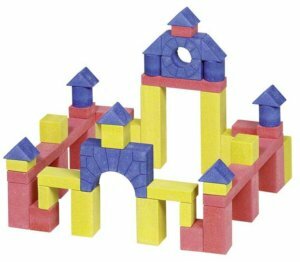 You’ll find a nice Hape one plus a nice selection of Melissa & Doug wooden food too! Want to put that iPad time to better use? 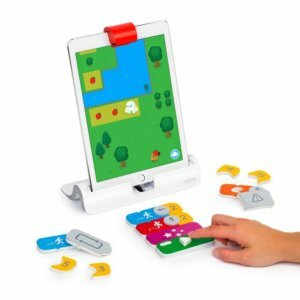 They even stock the award-winning game system Osmo which include great interactive apps such as Numbers, Coding and Tangram, Racing and many more! Trying to find some great occupational therapist recommended toys for the table- you’ll find both our favorites Squigz and Plus Plus here. Check out their online shop too if you can’t get to their physical store. 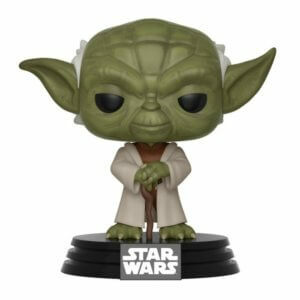 If you don’t necessarily care about branded toys, then this little gem is a great place to go! 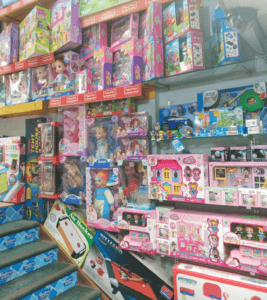 With a huge variety and colorful selection packed into the narrow shop, Toy World is located on Commercial Street in between the Arrow Showroom and Karishma Silks. You’ll find plastic autos and puzzles, dolls and board games, train tracks and so so much more! They also stock a good amount of baby stuff and are a great place to grab small toys for stocking stuffers or favors for party bags! 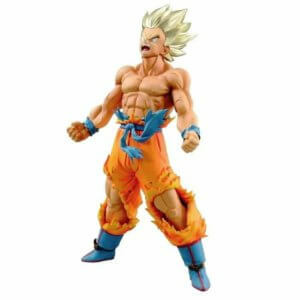 Since some toys are not branded, prices are extremely affordable so if you are looking for more bang for your buck, head over to Toy World! 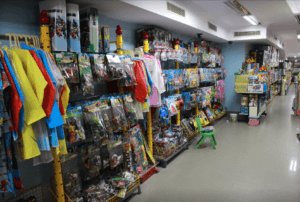 Sapphire Toys is one of Bangalore’s oldest toy stores, this is another great option for buying generic toys at great prices. You’ve probably driven by the Richmond Road one and forgot you were an adult as you stared in awe at the large red store. 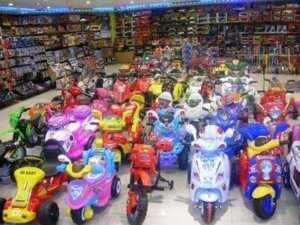 While you will find a few imported brands here (Chicco, Little Tikes, Hot Wheels, etc.) the majority are from China which usually makes about zero difference to the child playing with them. This is a great local option however and another great stop for party supplies and favor. Sapphire also carry a large selection of scooters, bikes, riders, and slides. Just because Toys R Us has closed all their US stores (for now), feel lucky that you live here in India where they will continue to pop up! The giant American toy retailer reminds us of Geoffrey the yellow giraffe mascot and the uber-annoyingly catchy theme song (“ I don’t want to grow up, I’m a Toys R Us kid…”) But however irritating the fluorescent lighting and vast space may be, this is THE place to get the big commercial American branded toys- we’re talking about Hot Wheels, Barbie, Lego, Nerf, Fisher Price, Ty, Mega Bloks, Play Doh, etc. 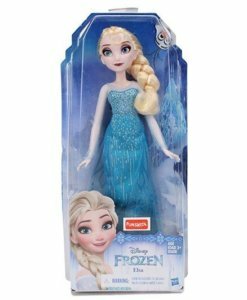 Don’t forget about all your child’s favorite characters from Disney, My Little Pony, Thomas & Friends, Transformers, Paw Patrol, Frozen, Peppa Pig, Dora the Explorer and more. Walking into a Hamley’s toy shop always brings us back to a toy store of yesteryear. This UK toy shop with its’ iconic red double-decker bus filled with toys is always a magical sight for kids. A play-table or bubble machine always entices kids to beg parents to make a stop in. 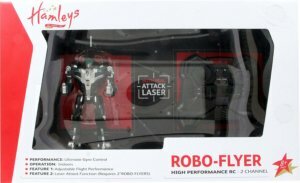 Here you’ll find popular brands as well as more traditional toys along with Hamley’s own brand of toys. Mattel, Lego, Star Wars, LOL Suprise, Thomas & Friends, X-Shot, Fisher Price, Transformers, Hot Wheels, Funskool, and more! 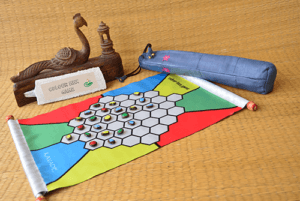 If you’re looking to reduce the amount of screen time your child has, then check out Kavade Toy Hive. 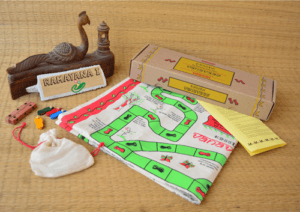 This store aims to bring back the old-world charm of games; “games that are far removed from the adulteration of plastic or technology.” Pick up some fun presents that the whole family can enjoy together – counting, board, race, puzzles, hunt, war, and outdoor games. Kavade has every type of game imaginable! 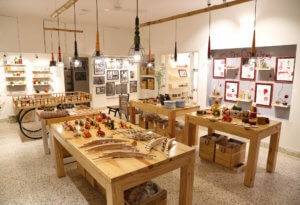 What’s more, they are all lovingly handcrafted by an NGO group. 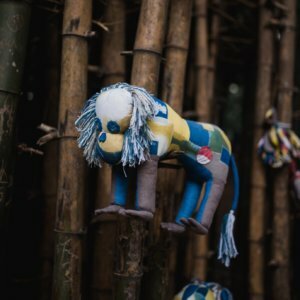 If you are looking to introduce your kids to some local Indian toys, you’ll find a great and colorful selection at Varnam Craft Collective. 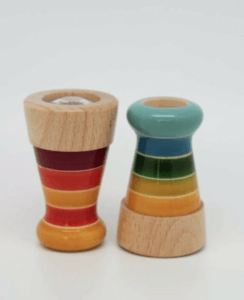 This social-enterprise works with artisans from the toy town, Channapatna, Karnataka to produce traditional toys with a modern twist for today’s children. 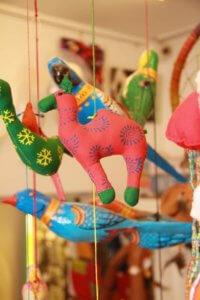 Forget about mass manufactured toys- Channapatna toys are handmade from wood and natural colors. 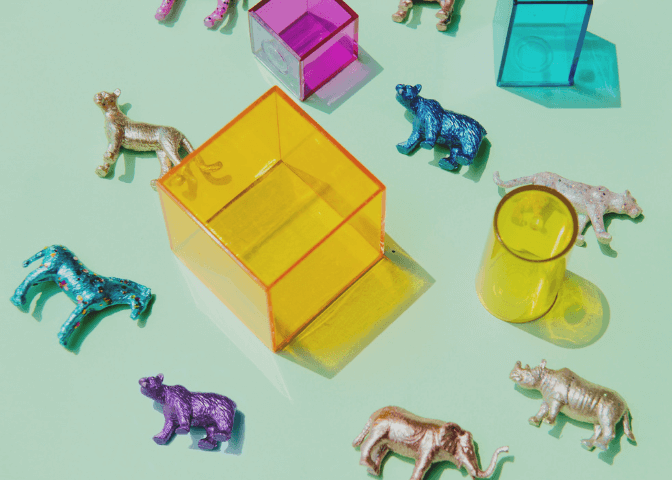 From pencil boxes to pull along mice, bobbleheads to figurines, stackable dolls to kaleidoscopes, piggy banks to spinning tops, Varnam will have something for lovely for every age! This store opened its doors in the fall of this year, just in time for the gifting season! The mostly organic/fair trade products pay tribute to India’s rich craft and textile traditions. 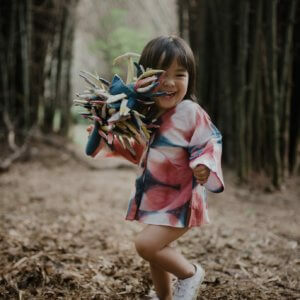 The toys at 12/2 are all ethically and lovingly made using natural eco-friendly materials such as wood and cotton. 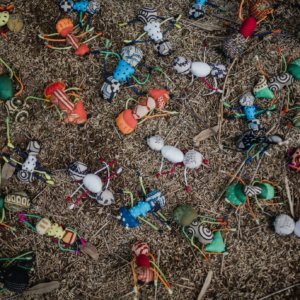 The toys are sourced directly from the craftspeople or the various Self-Help Groups that produce them, many of which are providing work for people with disabilities and those from marginalized communities. 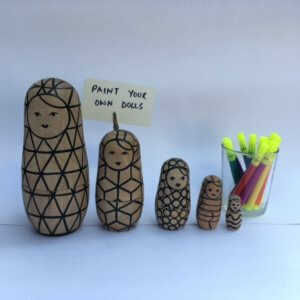 The wide selection of toys include wooden puzzles from Rajasthan, hand painted toys from Varanasi, secret wooden boxes, cotton stuffed toys and dolls, and wooden paintable dolls. 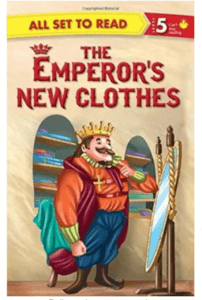 You’ll also find a lovely neutral variety of kids clothes. 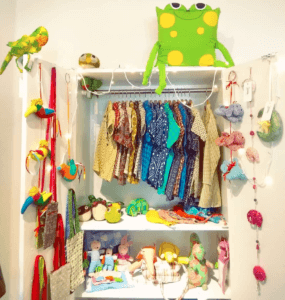 At Levitate, “Bangalore’s Best Kept Secret Shopping Destinations” you will find toys from all over India ranging from puzzles and wooden toys that promote fine motor skills and hand-eye coordination to upcycled stuffed monsters to perfect baby gifts and Christmas decorations. We love the hand-painted wooden trucks from the highways of Punjab! Stop in their Indiranagar store to browse around the hundreds of goodies- and be sure to say hello to the friendly owner Meghna as well! It’s hard for even a non-superhero loving person to walk into this store and not be fascinated with the vast selection of superhero and pop-culture merch. With three locations in Bangalore (the newest store is opening in Whitefield any day now), The Entertainment Store houses all your Superhero, Manga/Anime, Movie, Music, and Comics paraphernalia. Everything from action figures, collectibles, posters, costumes + apparel, toys + games, and comics. 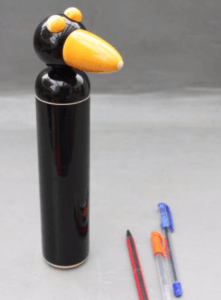 Has your child asked for a Venom figurine, or maybe something from Harry Potter? Avengers, Transformers, Disney, The Simpsons, Naruto, Garfield and so many more. Does your child love stuffed animals? 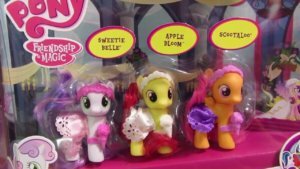 This year instead of another brightly colored, synthetic stuffed toy, get them something a little more natural but equally lovable. Muuyee, which means Ant in the Indo-Aryan language Konkani, believe in a philosophy of collecting the earth’s scraps and repurposing it into something lovely. Like their adorable Playmates, which are stitched from various cloth scraps dyed in botanical colors. Choose from the Lion Tailed Macaque, The Draco, The Malabar Whistling Thrush, The Ant, or The Cane Turtle. Every piece is equally lovely and sustainable. Give your child the gift that will keep on giving even after Christmas is over! Every child’s dream! 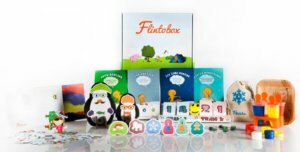 Flintobox is a theme-based monthly discovery box for kids aged 2-12-years-old. Each box includes 3-5 activities that will engage your child and try and replace some of that screen time! 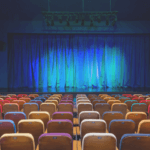 Choose between three, six and twelve-month subscriptions. For example, the December theme for 4-6-year-olds is Magical Science and includes activities such as putting together a magnetic robot while learning about magnetic poles and attraction as well as another one where your child puts together a buzzer and learns about electric circuits. Each month a new box filled with fun and learning will arrive at your door! 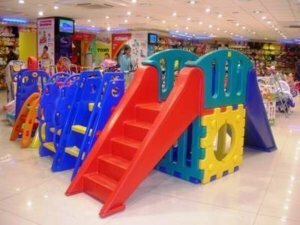 Did we forget a great toy shop in Bangalore? Let us know in the comments below! 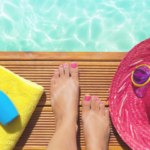 in "HOLIDAYS, HOME, LIFESTYLE, STYLE + BEAUTY"